I do like a list, especially those ‘what to do now’ types that you find in gardening magazines, weekend papers and the like. Not being very experienced they provide a useful prompt for the things that need to be done on the allotment. Reading this one in The Telegraph a couple of weeks ago I realised that we had never tested the soil for pH, that is it’s acidity or alkalinity. 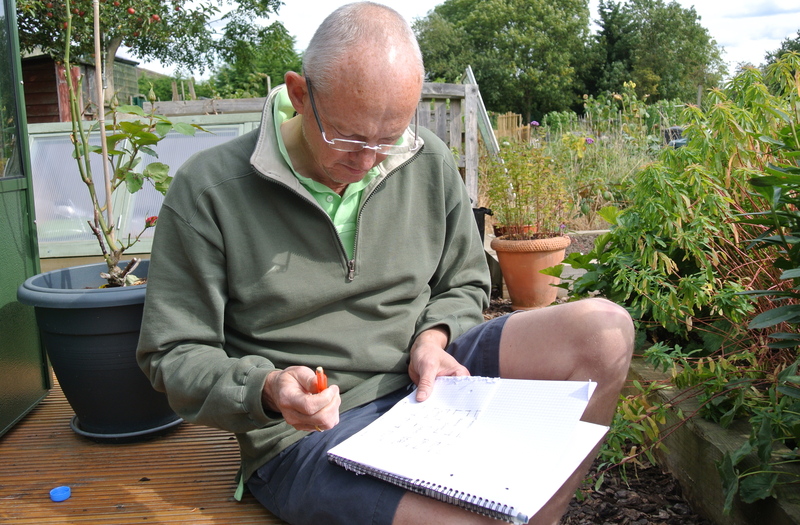 If allotmenting books are to be believed this is one of the first things to do after taking on a plot. 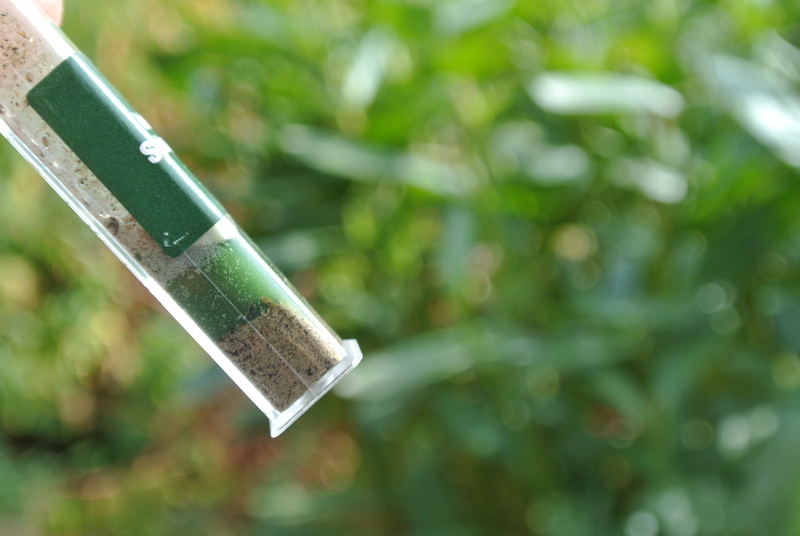 A soil pH of seven is thought of as neutral, below seven as acid and above seven as alkaline. Fruit and vegetables will typically grow in slightly a acid soil of pH 6.5. Depending on what you find alkalinity can be increased with the inclusion of garden lime and sulphur will help to acidify. It may be reasonably safe to assume that a heavy clay soil such as we have would be alkaline BUT in a bid to lighten it up we have dug in planty of manure which tends to be acid and also when the raised beds were built we imported three thousand litres of topsoil and organic compost from Rolawn. So it’s probably a thing that long overdue if we are to prepare the soil properly and give crops the best possible chance. Given we wanted to test more than one area on the plot we chose a Gardman kit which allows up to fifteen tests (albeit there is only one test tube and each test takes ten minutes). What we found was that the front of the plot is alkaline but that the beds are neutral as shown above. We also tested some compost we knew to be acid, just to see the difference, which gave the result below. We know what we’re dealing with now. Based on our findings I’m thinking that I’ll add sulphur or some more manure to the to the alkaline areas and not do anything to the neutral areas. Both will be retested early next year which will allow plenty of time for further remedy before the main growing season. 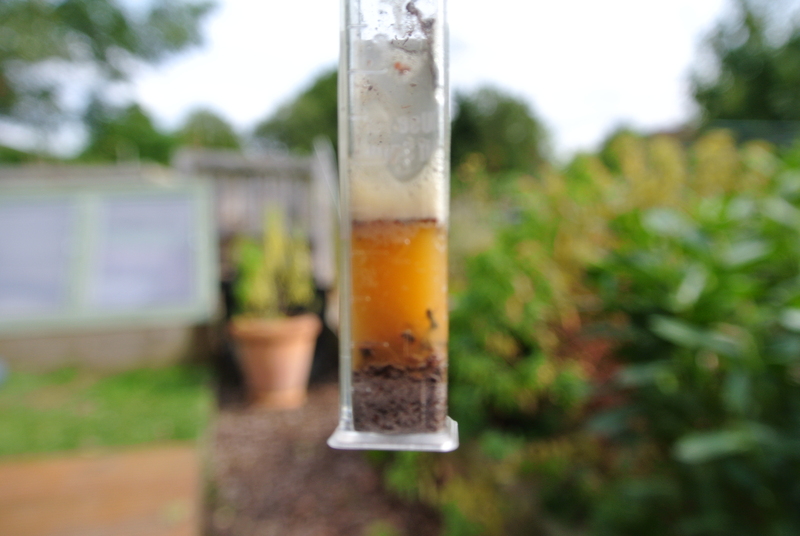 There is an extensive guide to soil pH on the RHS website here. I’m with you all the way on the list front. I have lists; lists of lists; sub-lists and spider diagrams all stored haphazardly in exercise books, on file paper, in my phone and on the back of old envelopes. 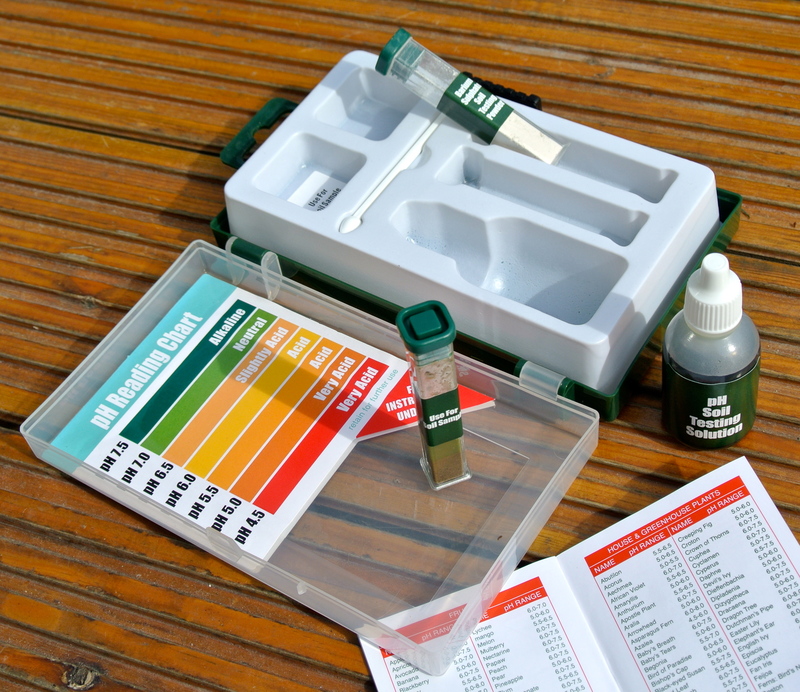 You can’t beat lists – nor can you beat pH testing kits. You’re living proof that several pH tests are needed over a large area. What a difference a few metres makes! Thank you for taking the time to comment. We decided to pH test because a few things we planted this year didn’t do as well as expected, hoping it will be worth it.